The Script Doctor: Experiments Prove Educational Power of House, Grey's Anatomy et al. 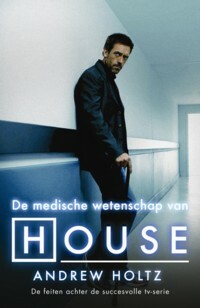 Experiments Prove Educational Power of House, Grey's Anatomy et al. It's not just a wild idea to think that TV medical dramas like House and Grey's Anatomy can teach people a thing or two about health care. There have been experiments to test the hypothesis. Back when ER was a prime time TV hit, researchers at the Kaiser Family Foundation were allowed to help insert a couple of minor story lines. In one episode, a woman was told about emergency contraception, the so-called morning-after pill. In a subsequent season, the researchers helped craft some dialog about the HPV vaccine and how it might affect the risk of cervical cancer in sexually-active women. In both cases, national surveys before and after the episodes aired showed jumps in what regular viewers knew about the subjects. More recently, a similar experiment done with Grey's Anatomy showed a dramatic boost in the number of people who knew that medical treatment of HIV can almost always prevent transmission of the virus from an infected mother to her fetus during pregnancy.